Last week we had the chance to spend a little time with the awesome Omega Speedmaster Dark Side of the Moon. BaselWorld 2013, the first time we saw the ‘DSotM’, was over a year ago, but it seems that the DSotM is popping up at Authorized Dealers only recently. For those of you that placed an order back in 2013 it must’ve been -or still is- quite the wait. But please trust us when we say this watch is worth your patience! The Speedmaster Dark Side of the Moon has a case made of high-tech ceramics. But it doesn’t stop there: the crown, pushers, buckle & dial are all made of ceramics. 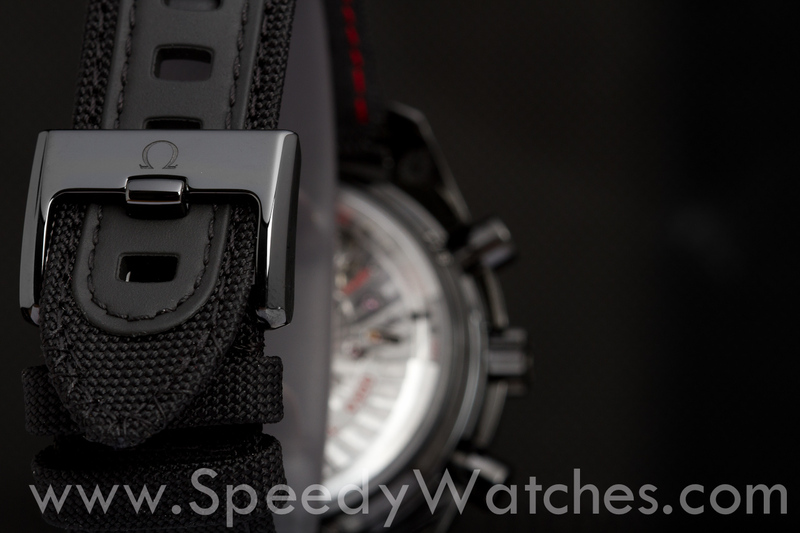 A ceramic case is not that unusual these days, but the other bits give Omega an edge over most of its competitors. The indexes and hands are all 18k white gold. SuperLuminova ensures readability in low light situations. It is powered by the highly regarded caliber 9300. The strap is made of coated nylon. It is lined with leather on the inside for wearing comfort. Interested? Contact our friends over at Ace Jewelers! 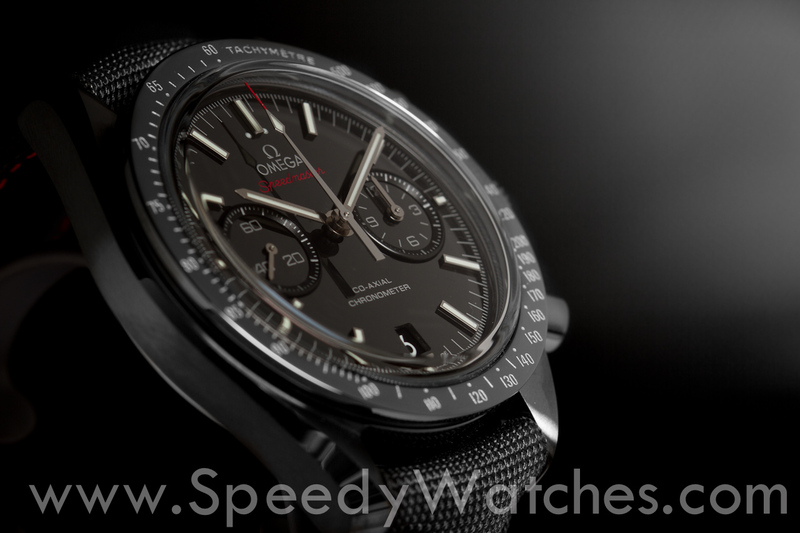 This entry was posted in Report, Speedmaster Automatic and tagged 311.92.44.51.01.003, Co-Axial, Dark Side of the Moon on April 18, 2014 by Dale Vito.